Many people ask how to win a Social Security Disability case. However, it also might be helpful to analyze why people lose their claims. 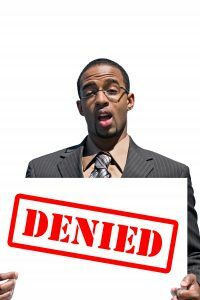 Here are my top 6 reasons why a case is not successful. You are working while applying for disability. Nothing hurts a case more than claiming you cannot work while simultaneously working. When I realize my clients have been working and it constitutes “substantial gainful activity” we usually have two options. If the work has stopped, then they need to amend the onset date to a time after the work ended. If the work has not stopped, we may be able to claim a closed case to cover that period of time when they were not working – provided it lasted at least twelve months. If you never stopped working, then dismiss your application. You are not treating with a doctor. I know how hard it is to access medical care when you have lost your healthcare insurance and you have no income due to a job loss. However, you must find alternative ways to treat for your severe medical impairments. Go to your local emergency room or to a nearby community healthcare center and ask for help. It is very difficult to win a disability case if you do not have current treatment records. And no, Social Security will not send you to one its doctors. Consultative exams are not treatment. Occasionally, the CE reports are supportive of disability, but that alone will rarely result in a favorable decision. You have a substance abuse problem. Substance abuse is not uncommon among people with mental health problems or people with chronic pain. There are people with co-existing severe medical impairments and addictions. However, Social Security will not approve your case if a judge determines that the addiction is the problem keeping you from working. Frankly, most judges that determined that you have a co-existing substance abuse issue for which you are not in recovery will most likely deny your claim. Do yourself a favor and pursue recovery. Your treating doctor thinks you can work. This is a problem, but one that requires evaluation. If your treating doctor is actually being paid by a workers compensation carrier, then it might be time to be treated by an independent doctor. Also, what is the expertise of the doctor forming this opinion? It is my experience that surgeons rarely admit that a surgical patient has not returned to maximum improvement thanks to the doctor’s intervention. Primary care doctors or pain management doctors are less invested in a patient’s outcome and more realistic about a patient’s long-term health. You may need to simply pursue the right doctor for this opinion. You go missing and stop participating in your case. If Social Security sends you paperwork, open it, review and respond. If Social Security requires that you attend a Consultative Exam, then show up for it. If you move, then let Social Security know your new address and phone number. If you do not cooperate, then your claim will be denied. No one’s claim is so great that Social Security will move heaven and earth to find you. You do not hire an attorney for your disability hearing, At the very least, once your case is at the hearing level, hire an attorney. Attorneys work on a contingency basis and you do not have pay up front or pay if you lose. Fees come out of your back pay benefits and Social Security pays the attorney directly. Your risk is too high to go into a hearing alone. Also, do not wait until a week before your case is scheduled to start calling attorneys. No attorney wants to take that case and also attorneys’ calendars are often not that open at a late notice. If you have questions about your Social Security disability case, then give me a call or shoot me an email. I take and return every phone call personally and will help you evaluate your case. And if you hire me, then you get me — not some unknown staff person. I’m glad you pointed out that continuing to work will hurt your social security disability case more than just about anything else can. My father-in-law has developed health problems that should have been preventing him from working, but he’s been putting himself in danger by forcing himself to work through the pain. I’ll be giving him a call right away to let him know that his insistence on continuing to work isn’t only hurting his health, but the chances of winning his disability claim as well.